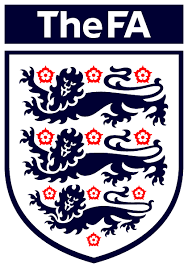 The Football Association or the FA is the oldest football governing body in the world, which is why its name doesn’t include the name of the country. At the time of its inception, it was the only football association on the planet, which is why the founders didn’t bother using the word “English” in the title. The association was formed in 1863. As the popularity of the sport in England had been growing steadily for years, different teams used different sets of rules, which made it hard for teams and club to play with one another. For this reason, in 1863, several London football clubs had a meeting and started writing down a set of rules and formed the association. It took some time for the FA to gain recognition. For several years, there were a number of associations, but the FA kept printing its rulebook and sending it to the clubs all across the country. The rulebook was becoming more and more popular and this led to its eventual acceptance. Another huge factor in gaining authority by the FA was that in 1871, the association launched the first ever major football tournament in the world, also known as the FA Cup. By the time the association launched the cup, it had fifty team members. Only fifteen out of fifty decided that they wanted to compete in the tournament. By 1883, the number of teams interested in competing grew to over 100. In 1883, Blackburn Olympic team won the cup, largely because it obtained a sponsor who paid for the team members to take a week off work and prepare for the final match. Technically, at that time, it was against the rules of the association to be a professional and take time off work to practice the skills but nobody complained about that until 1884, and professional football was born.